Star kid debuts usually mark a new chapter in the Hindi cinema's world of music. The verdict is out. Dharmendra and Hema Malini's eldest born can dance. The question, however, remains: Can Esha Deol act? 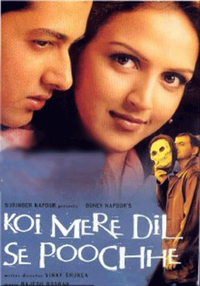 The opening shot of Koi Mere Dil Se Pooche makes you believe that the movie is about making career choices.